JR, The Black Entertainment Guide: Drake has fallen in love with Nicki Minaj? Drake has fallen in love with Nicki Minaj? Last week, an article on Hip Hop Vibe spoke of the new music coming from Young Money. The latest singles from both superstars, Drake and Nicki Minaj deal with love. With so much hate surrounding the duo, a change in topic will do everyone some good. Recently, Drake spoke on something not dealing with the feud. Drake met Nicki Minaj for the first time last summer while touring with Young Money. He said he fell in love with her the first time he saw her. She had everything he liked and he wanted to be with her. Despite his name being linked to the likes of Rihanna, he has crushed on Nicki Minaj. He tried flirting with her, but she was cold to him. Because of this, Drake said he tries to keep things on a friendly basis with Nicki Minaj. 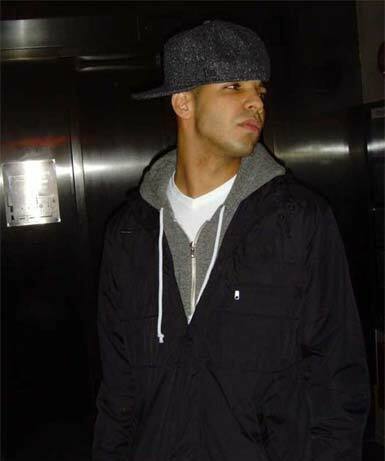 But, on "Miss Me," Drake professes his love for Nicki. Even with everything laid out by Drake, Nicki Minaj denied the rumors. She said Drake does not have a crush on her and he never did. She credited Drake for knowing what to say to gain attention from the media. Recently, Drake spoke on his past relationship with Rihanna and now he wants more with Nicki. Still, she denies any feelings from Drake.